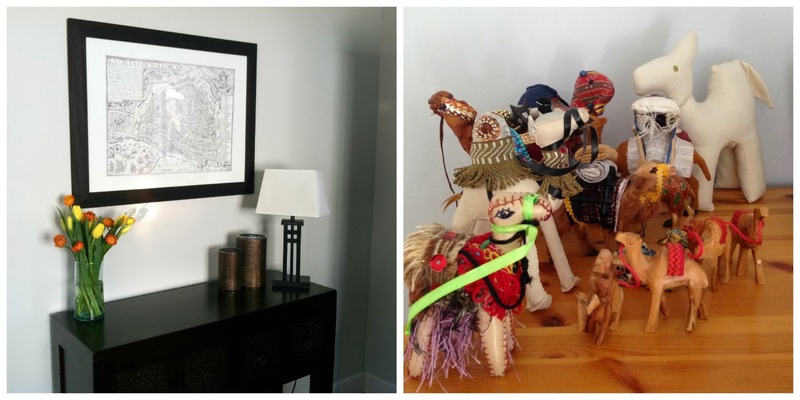 After my post earlier this week about what makes my home multicultural, I received quite a few photos from readers sharing a little corner of their home. Thank you! I thought I would share these with you. I love the stories behind those little pieces of different cultures. Becky from Kid World Citizen shared her amazing collection of African art. She writes: "These are different art piece and figures from Ethiopia, where my son is born. We have a lot of pieces we have gathered from our home countries (Mexico, Ethiopia, and China) plus places we have lived or traveled. I love collecting folkart from around the world, especially when it has a special meaning for us. 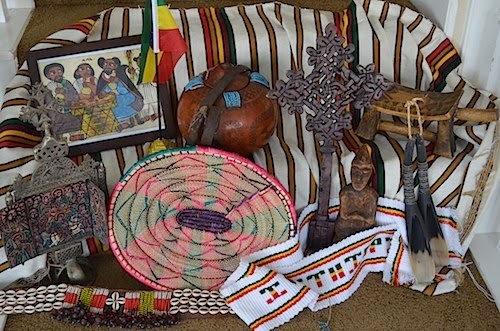 The bottom left is a replica of a cross from Lalibela, a famous stone church in the north of Ethiopia. The center woven platter is used to serve popcorn during coffee ceremonies, and the belt in the front left was given to me in a market south of Jinka in the Omo Valley. The large cross is another replica of the stone churches in the north. The 2 spoons on the right are made of cow horns and we bought them in the tiny village where my son was born. The upper right corner is an incredible shepherd's stool- with a handle to carry, it can be used to sit or rest your head on. We met some shepherds in our travel through the south and saw they were all carrying these little stools, and we asked to buy one from them. They laughed and said it was old and used, but we wanted to show our son:). Same thing happened with the gourd in the middle back. A woman was selling corn in the market with this, and couldn't believe the translator that I wanted the gourd, but she could keep the corn. She kept saying that it was old, and in a shop maybe I could get a new one. It is so beautiful, carved and with beads on the leather handle. I have a story about every piece, and they bring such fond memories of our travels." Frances (from Discovering the world through my son's eyes) writes about this picture: "This is a picture of a framed serigraphy that we have in our home. I bought it almost 20 years ago in Puerto Rico, and I brought it with me to the US. This serigraphy actually looks like my now 22 yr. old nephew. I love that it represents the mixture of three cultures African, Taíno Indians and Spaniards (now known as Puerto Ricans); and the love that Puerto Ricans feel for our beloved island, and its flag. This frame is always a topic of conversation from guests who come to visit." She also has her own little flag corner (a favourite of mine): "By the main door of our home I have a small table set with a globe, and various flags: Uruguay, Netherlands, Norway,United Kingdom, England (Saint George's Cross), Puerto Rico, Ecuador, Mexico, United States, China, and Yemen. Some of the flags have been gifts from family or friend's travels, and others from the culture swap exchanges we've participated in. United States, Ecuador, and Puerto Rico representing our multicultural familia. This is one of our favorite spots in our home. Little one and I often sit and talk about the flags, and the countries that they represent. Hoping that one day we too, will be able to travel the world." 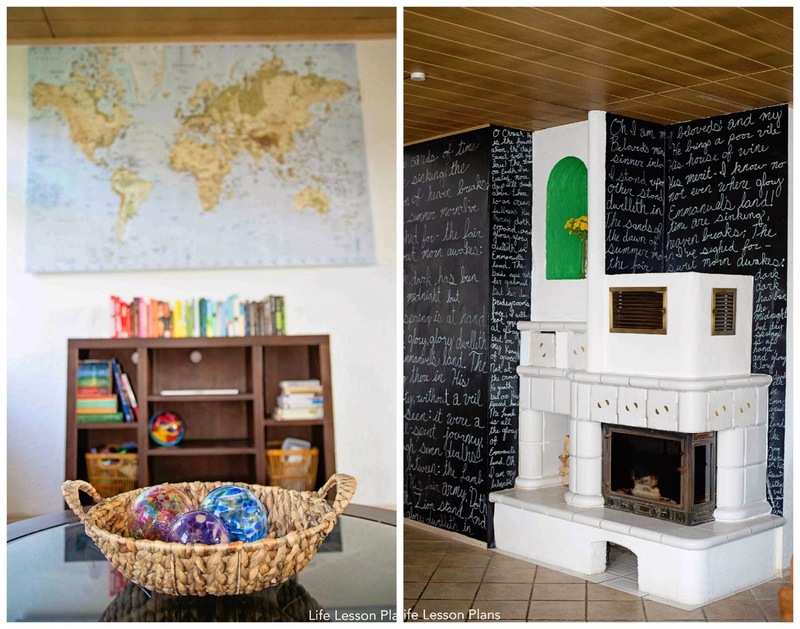 Brigette, an American living in Germany, who blogs at Life Lesson Plans, has an unusual house in itself which she filled in her own style: "our house was an elementary school in the 1970's and has since been converted to a home! We love it, it's a bit quirky, but with high ceilings and lots of character it's the house for us!" Rita (Multilingual Parenting) owns a lovely tapestry from her Finnish family and she writes: "my home is different mainly because of the many hand-made objects I have - from chairs made by my uncle, via turned candlesticks and hand-painted coffee sets and pictures to hand-made rugs, table cloths and tapestries. 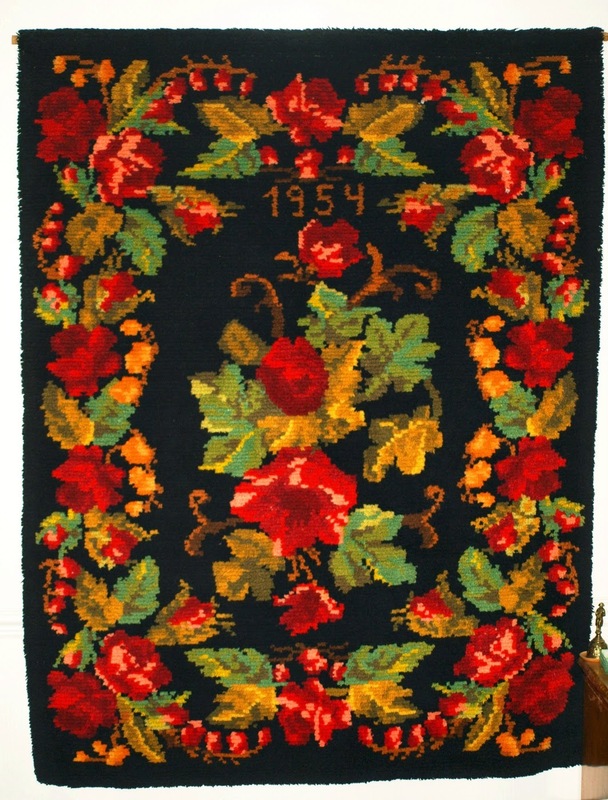 Here is a picture of one of my favourites: a 'ryijy', a knitted wall tapestry, made by my mother when she was 20 years old. A 'ryijy' normally hangs on the wall and only comes down on the floor on very special occasions, such as weddings. My mother and father stood on it when they were wed in the 1950s and so did my husband and I a couple of years ago. I adore my 'ryijy' - it has pride of place in my house and always will." Olga, aka The European Mama, owns a globe too! And she says her kids love playing with it. Becky (La Famille Brown) explains this unusual object: "here is a picture of our youngest Jacob playing an instrument called an 'mbira' or 'thumb piano'. They can be found in many different countries but this one comes from Zimbabwe. We're from the London, UK, but are now based in a little village in SW France. The mbira was an instrument I played whilst at University as I studied for a Music Degree at the School of Oriental and African Studies in London. The kids have always enjoyed playing with it, in particular the shells on the bottom. It always raises questions when people visit as many haven't seen anything like it before. It's important for us to have items like this in our house that represent different cultures, particularly if they are from Africa as it is part of my (and our boys) cultural heritage." Stephen's multicultural home is also visible in clothing. He shares his impression sports shirt collection: "One of the things that makes us multicultural is the sports teams that we follow. 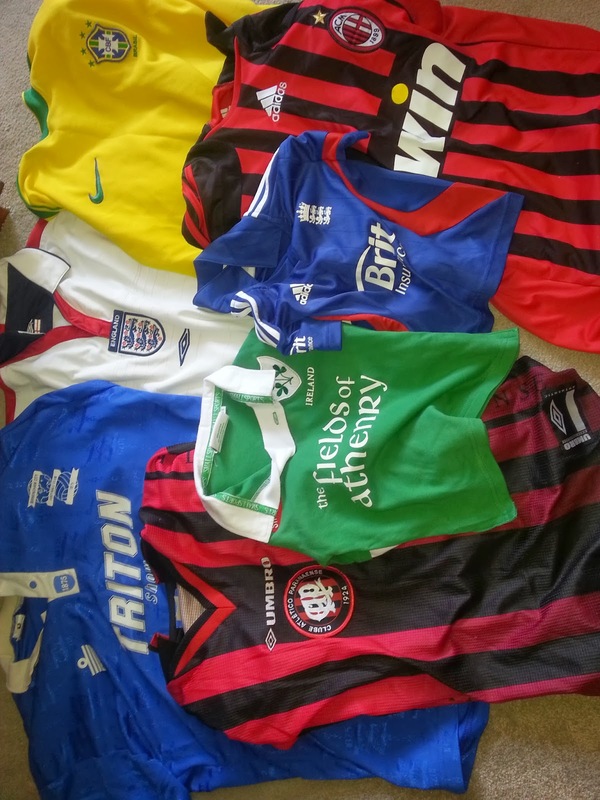 This picture shows, from top left to right, a Birmingham City football T-shirt (England), an England football T-shirt, a Brazil football T-shirt, an Atlético Paranaense football T-shirt (Brazil), an Ireland rugby shirt (my son's), an England cricket T-shirt (my son's), and an AC Milan football T-shirt (Italy). This is just a sample as we have many others. We live in Curitiba in the south of Brazil, where it can sometimes seem as if football is the only sport in the world." Stephen blogs at Head of the Heard. Hélène (Ici on ne dessine pas de mouton) shows us a snapshot of different things around her house, much like I did earlier this week. She writes: "I am French, my husband Alexandros is Greek Cypriot but he spent years in America. We live in Cyprus, a pretty mono cultural place. But at home we are multicultural. Alex is crazy about design, architecture and flee markets as well as barbecuing. Our furniture and objects reflect that aspect of him. I fall for Japanese literature but remain viscerally attached to anything that reminds me of the old fashion France, from books to recipes to music. And Nicolas our son will hopefully get the very best of this love blending affair (including rolling over the Persian rugs)!" Michelle, from MotherTongues, explains the art found around her home and especially those cute pieces: "We have almost exclusively South African art, but that is hard to pinpoint as multicultural. So here is a photo of some porcupine quills and guinea fowl feathers, and baby tortoise shells (and books in different languages) - no animals were harmed, and everything was picked up during different trips to South Africa and thus bring back good memories: for instance a visit with a good friend on their farm, where the baby tortoise shells were lying in the hiking path we were walking with our 5 little kids that we had between us." Natalia, from Culture Baby, explains: "two of my favorite spots in our new home in Alexandria,VA. We moved here from Morocco so picture number one has our entry way table, which I designed and had made in Morocco along with my favorite Moroccan leather candle holders. The picture is for my parent's town, Palma de Mallorca. Below that is my son's camel collection. We travelled alot around North Africa and the middle east while we were in Morocco and my son got a camel from each place. He's too young to really remember the experiences we had but I hope the camels will be something that will help him feel connected to them." 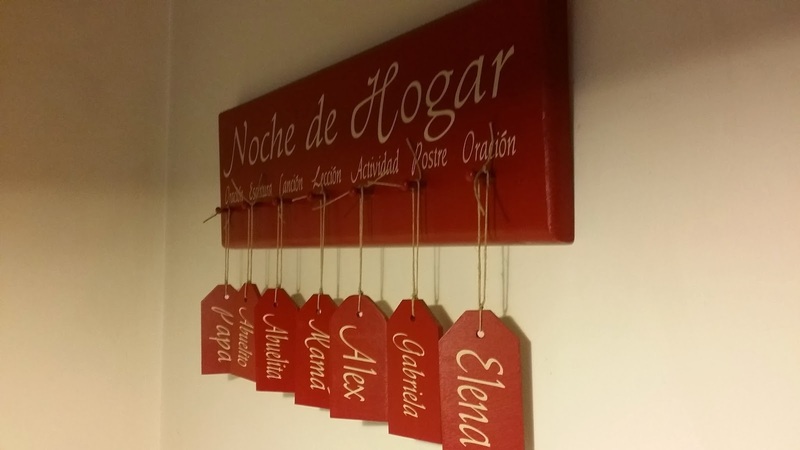 Maria, the trilingual mama, shows us an important sign in her home: "This is a family home evening board that is very often a conversation piece when we have visitors or guests in our home. 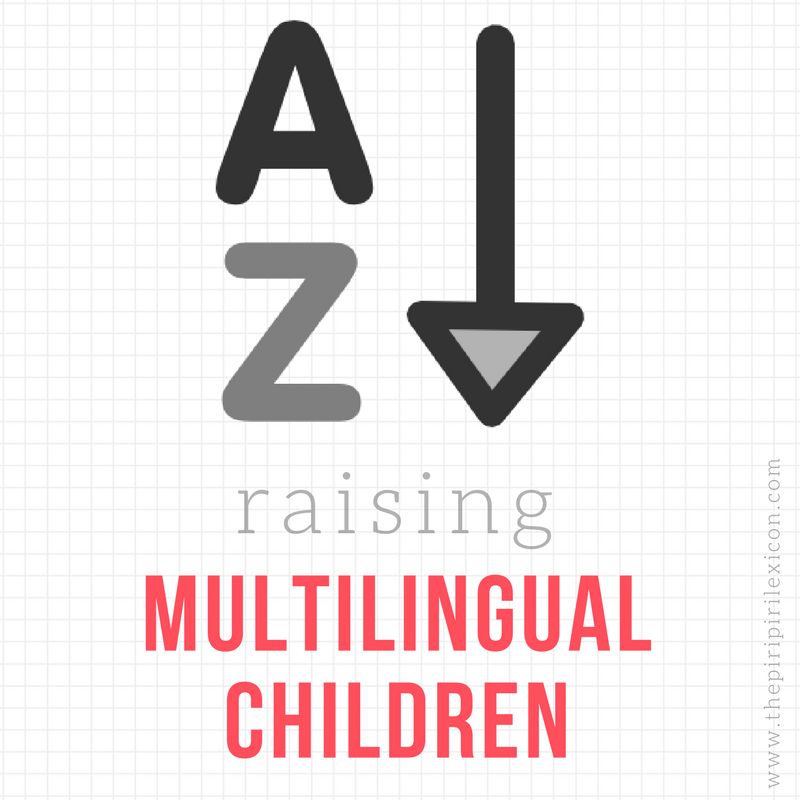 They always want to know what it says, what it's for... Not only does it show that we are multilingual (it's written in Spanish whereas we live in France), but it also reveals a few things about our family. Wooden painted signs like this one are very common in home decor in the United States, especially in Utah where we used to live and where the Mormon culture is prevalent. Mormon families love these kind of homemade signs that often depict themes of family and love. As we are also a Mormon family, we were gifted this homemade sign by my mom. The sign is actually a reminder to have our weekly family nights. Each of the tags represents a family member and the different pegs represent a different task that each can accomplish during our family night: a prayer, a short lesson, a yummy treat to eat, a game, etc. Tasks are rotated to give everyone a chance to participate. The funniest part? Abuelito and Abuelita (Grandpa and Grandma) live in California, but there they are on our family night board! A fun way to have them "present" every day of the year!" Last, but by no means least, Katinka (from The Penguin and the Panther) shares her lovely story and how some scarves can mean so much: "We're a Belgian family of four. Our seven year old son grew in my belly and turned out veryvery white. Our four year old daughter grew in my heart and has quitequite dark skin. 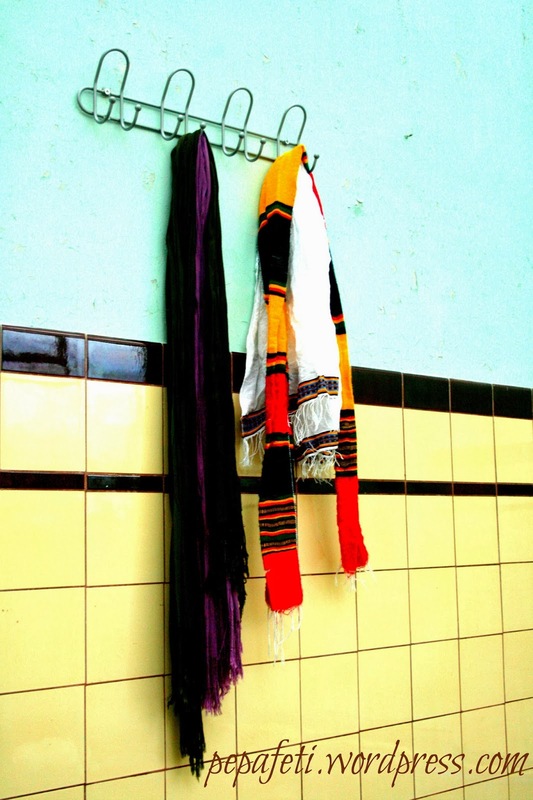 The picture shows some scarfs and shawls hanging in our soon to be redecorated kitchen. Two average ones, two Ethiopian ones. They are precious to me, because they became an evident part of our lives. Sometimes the kids wear them to school, sometimes they use them for 'African dress up', and sometimes they're just hanging there, seemingly abandoned, before they catch their eyes again." I hope you've enjoyed this little selection. 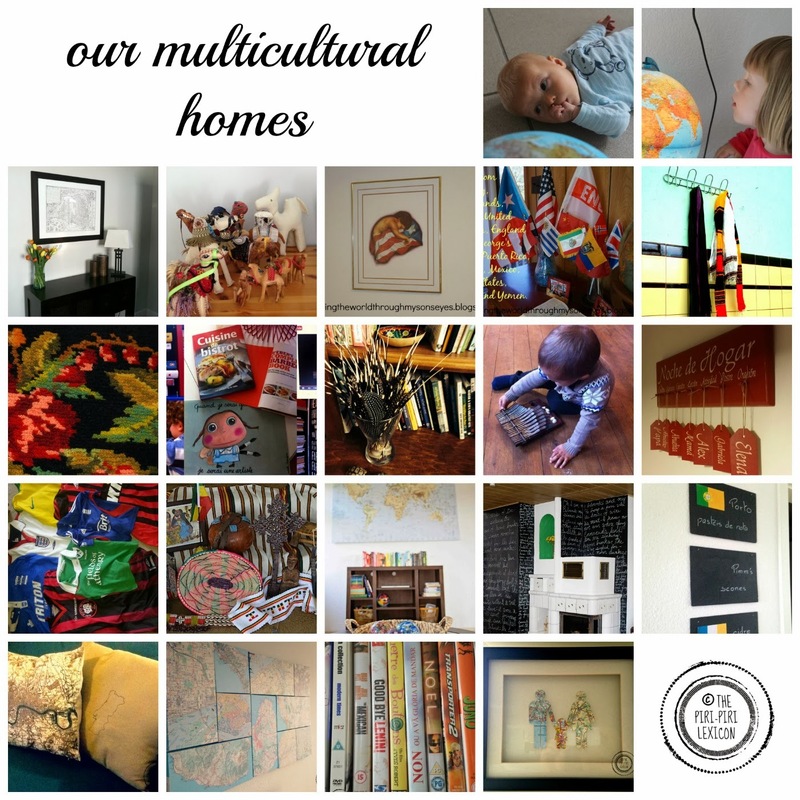 Tell us what do you have in your home that shows off your multiculturalism? Feel free to link to pictures or blog posts too. I might do a post on multicultural things in my home some time, too. How fascinating to take a peak into the homes of multicultural families! I enjoyed looking at the pictures, and reading the story behind each one. ;) Thank you! I absolutely love this post- the quills and the tortoise shells! The Spanish handmade sign! The Flags! The soccer jerseys! All of the beautiful folkart! Thanks for opening up your homes everyone! It's such a lovely insight into people's homes and such a range of cultural objects! Thank you for letting us be a part of it!